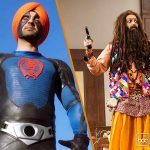 One of the most popular superstars in Punjabi cinema, Diljit Dosanjh starrer action-comedy superhero film Super Singh is all set to tickle your funny bones from this Friday i.e. 16 June. Since the time of announcement, it is buzzing among fans as well as Punjabi audience on a good note. Diljit Dosanjh has high fan following among audience across north India and overseas. This is the reason, his films do well at worldwide box office and Super Singh too expected to perform in same way. Opposite to him, the film stars the very charming Sonam Bajwa. Opposite to it, several Hindi offerings are being released on Friday but among them only Bank Chor is the noticeable one. Bumpy’s directorial this comic caper stars Riteish Deshmukh, Vivek Oberoi and Rhea Chakraborty in lead roles. Bank Chor has gained moderate hype among fans as well as audience with it’s quirky online campaign, but it doesn’t seem to take any impressive start at box office. Reportedly, the film is releasing only in India on 700 screens. Riteish and Vivek’s last offering, Great Grand Masti took the opening of 2.50 crores. 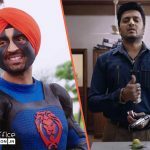 But with such reasonable screen count and an average buzz, Bank Chor is expected to take the opening of 1.50 – 2 crores at domestic box office.